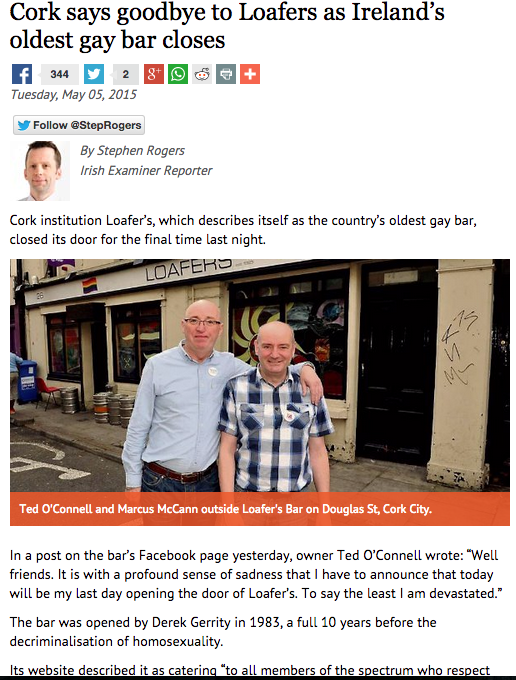 In an interview with the Cork Evening Echo, Ted O’Connell, proprietor of Loafers, said the premises was under a lease, but that the building is now being sold and the bank wants vacant possession. The closure was widely reported in other newspaper reports and on social media. 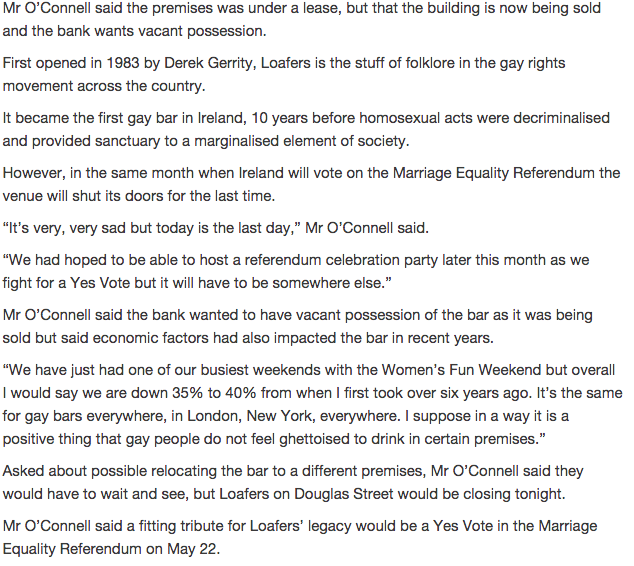 The announcement was greeted with sadness and shock by the Cork LGBT community and the wider community. 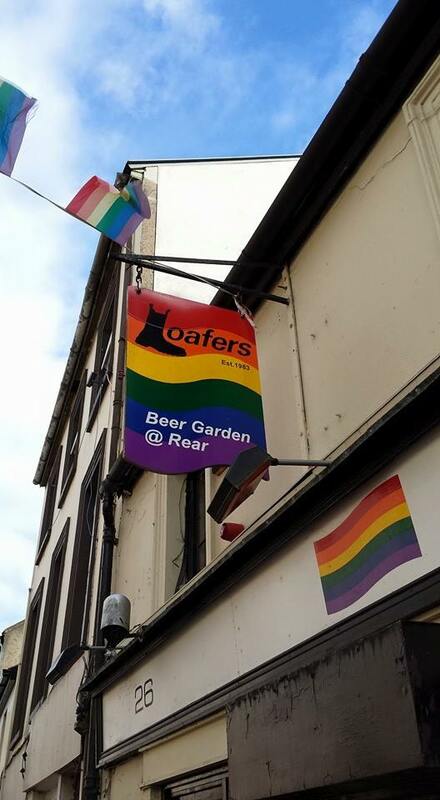 Loafers has been a key part of the LGBT community since it opened in 1983, providing an invaluable space for the community to meet, engage and play. 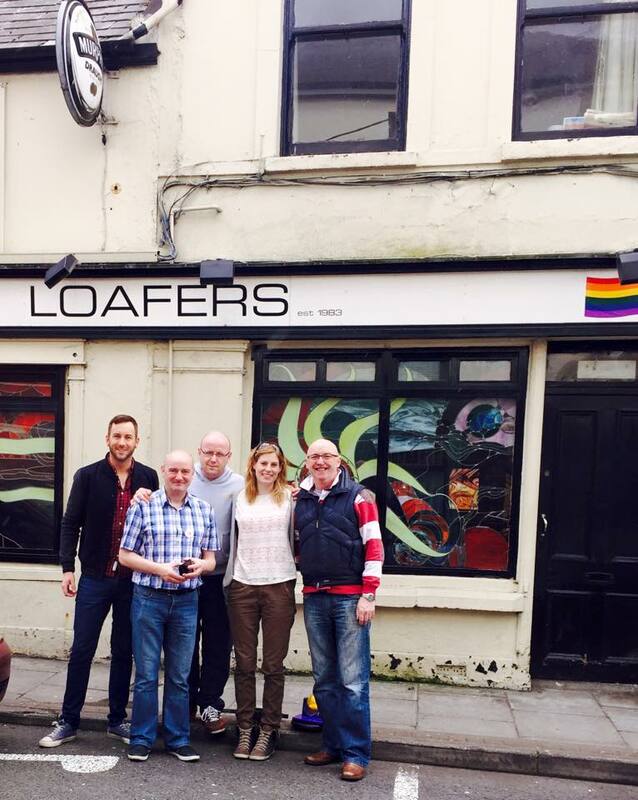 The day before the closure Loafers hosted the annual Pub Quiz as part of the Cork Women’s Fun Weekend. My team, the Orgasmic Bananas, won the coveted Golden Barbie, despite several attempts to steal her. 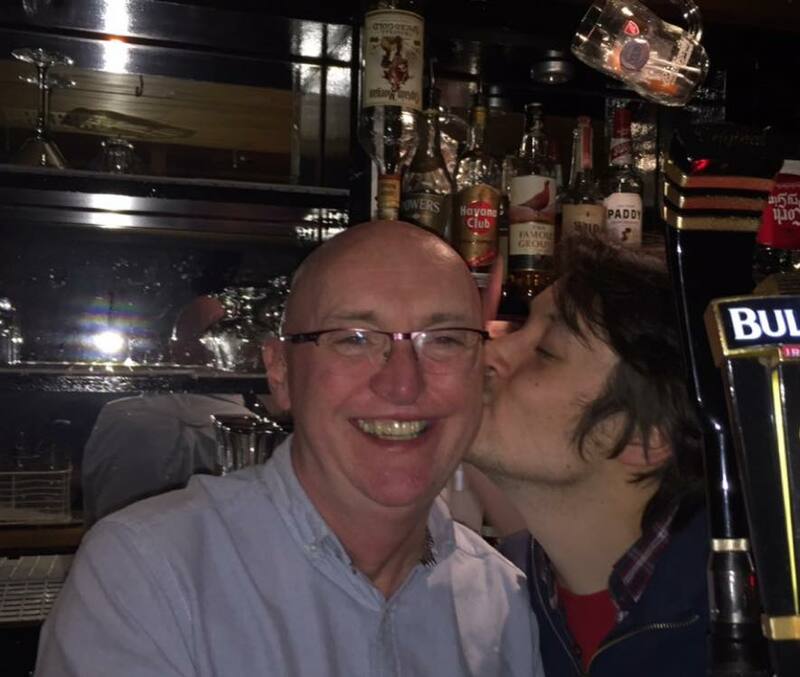 Behind the bar in Loafers! 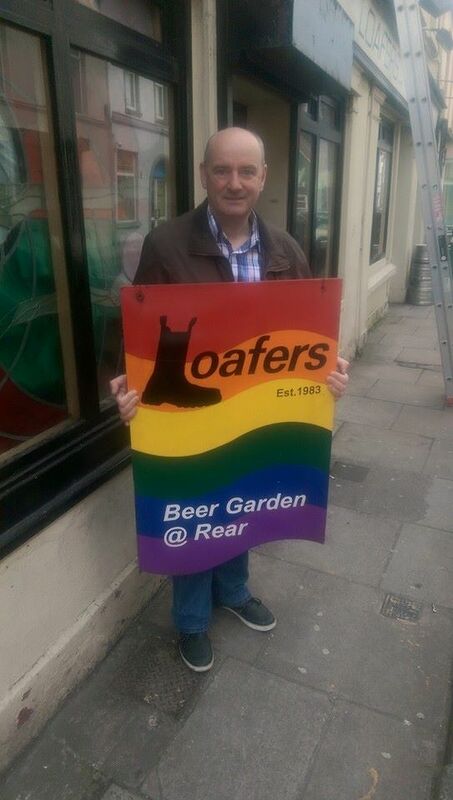 On the last evening in Loafers the pub was visited by the Cork Garda LGBT Liaison Officer Karl Griffin and his colleague. 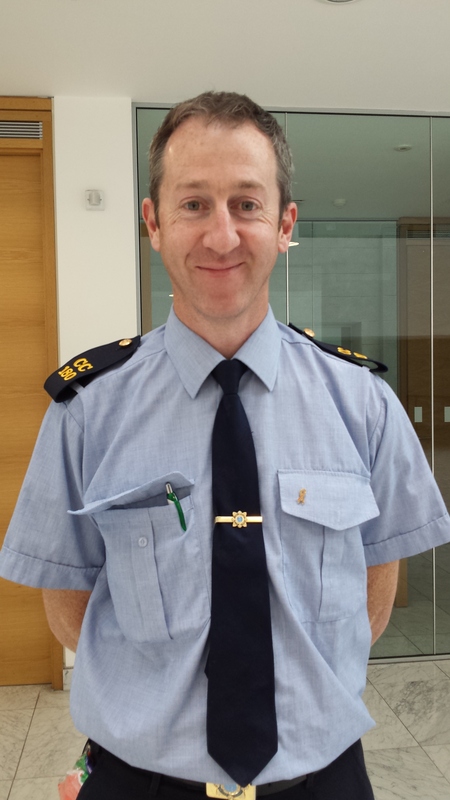 They just called in to say goodbye to Ted and the staff, a clear indication of the positive relationship between the LGBT community and the local Gardai. Closing up for the last time. Loafers 3 May. Photo Caz Gethings. Weekend Pub Quiz Loafers 3 May. Photo Caz Gethings. Women’s Fun Weekend Pub Quiz Loafers 3 May. Photo Caz Gethings. Attempts to steal Barbie -Weekend Pub Quiz Loafers 3 May. Photo Caz Gethings. 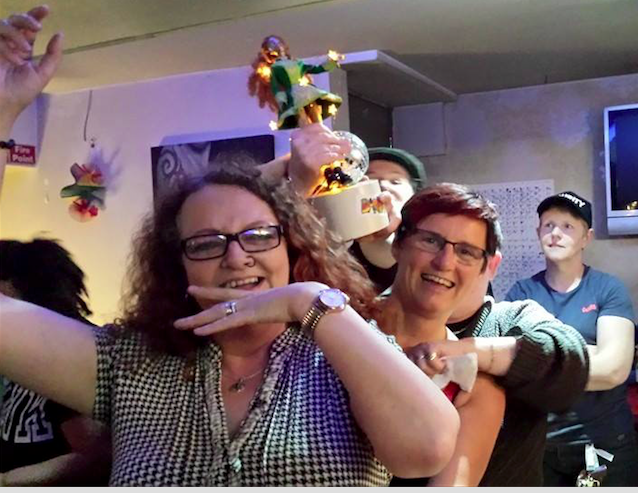 Guarding Barbie – Weekend Pub Quiz Loafers 3 May. Photo Caz Gethings. Guarding Barbie Weekend Pub Quiz Loafers 3 May. Photo Caz Gethings. 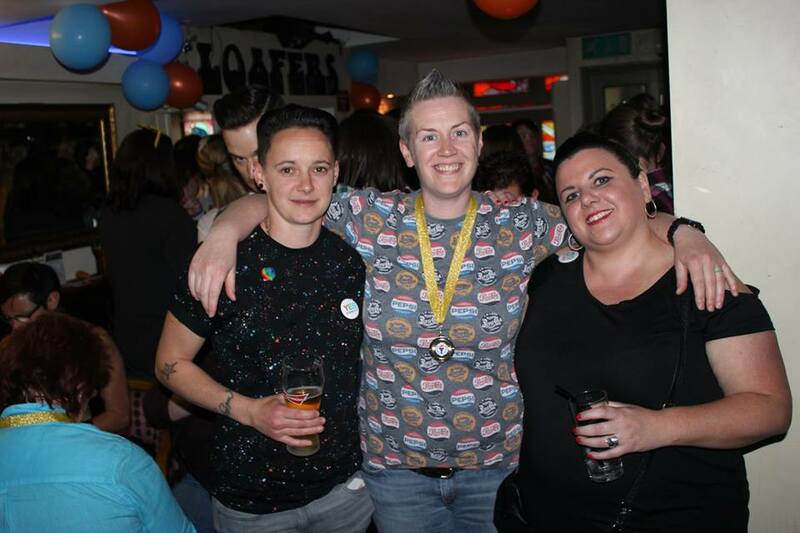 Christine and Jess – Weekend Pub Quiz Loafers 3 May. Photo Caz Gethings. A fitting tribute Orla. 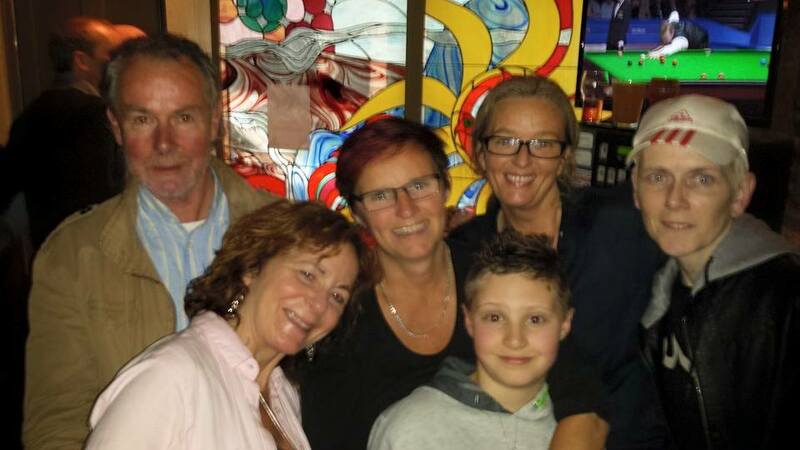 Such a loss to the community – and truly symptomatic of the economic climate. I remember nervously approaching Loafers as a 19 year old during my coming out phase, terrified and excited all at once. The sense of belonging that grew from there was just so comforting. And 20 years later i came back to that spot to reconnect with this community. It’s just so sad that our queerspace is no more.